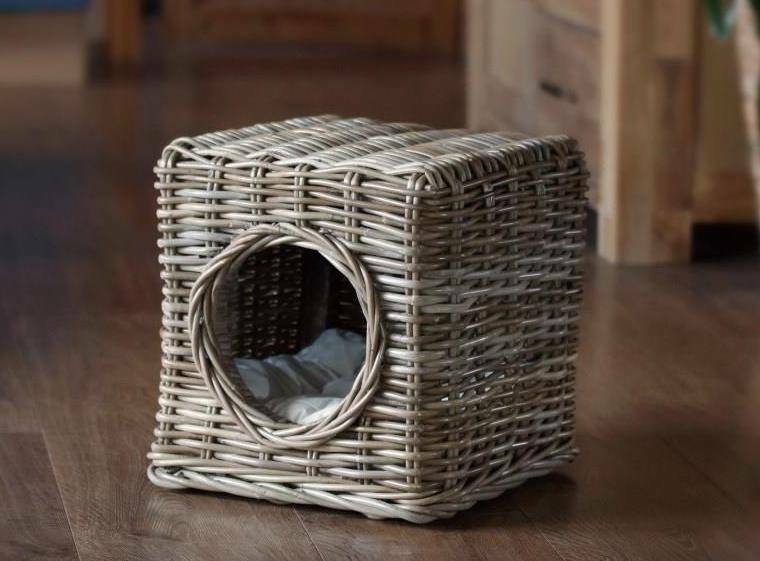 A lovely handmade cat bed made of sturdy woven rattan, with a washable cushion. 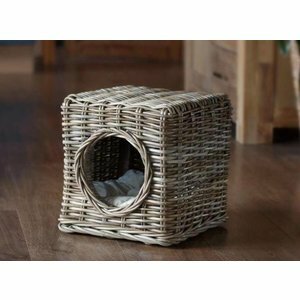 A beautiful cat bed that is made of sturdy woven rattan. 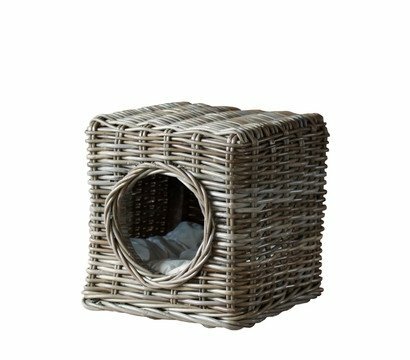 Your cat will be certainly be very comfortable inside as the cat bed comes complete with a soft cotton cushion. 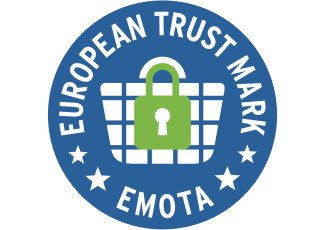 Dimensions: 35 x 35 x 35 cm.